When I got my delicious little eggnog latte at Starbucks the other day, the coffee sleeve thrilled me. Immediately I began to think what I could do with it and how I could acquire more, much more, must have more!! 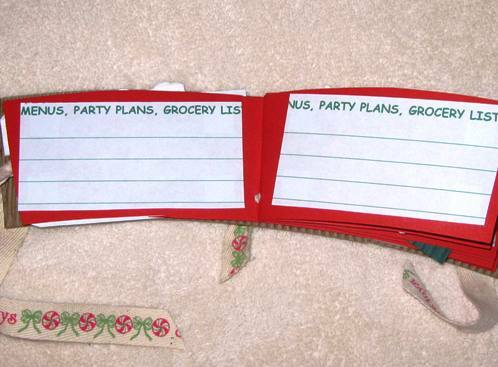 So I made 'em into mini Christmas planners for a couple of me special friends. I inked the edges with green and put a little green on the evergreens at the top. I cut the right side open. Spread it out flat on red cardstock and traced 3 or 4 "pages." I used a glue gun to adhere the bottom page to the opened sleeve. I stacked the other pages on, put holes in the middle (the left seam of the sleeve) and ran ribbon through it for the binder, folded the sucker up and made it into a book. 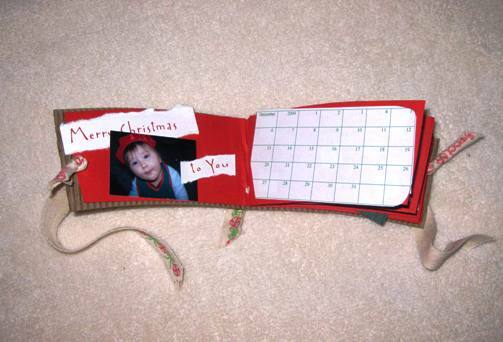 The first page is a calendar for the busy woman. I put a few photos from last Christmas on some of the pages. 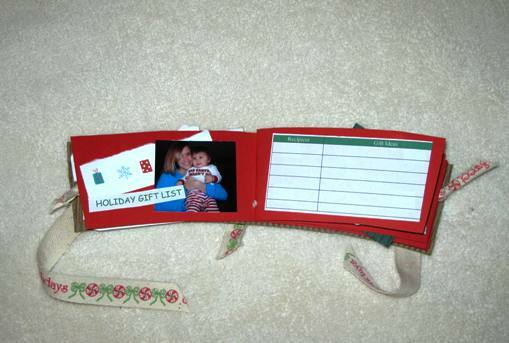 There are two or three pages of a "Gift List" -- with the subtitles "Recipient" and "Gift Ideas." 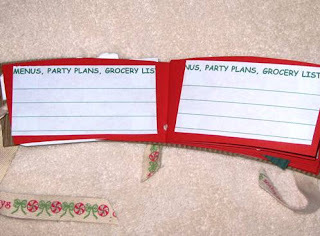 I put a few pages for "Menus, Party Plans, Grocery Lists." 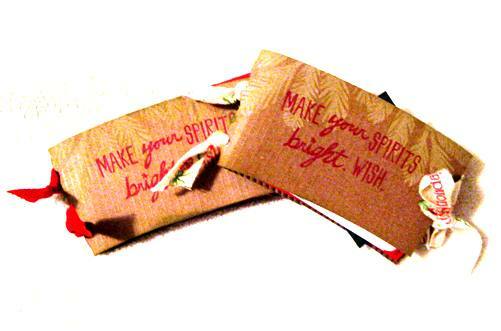 -- just pages for the owner to scribble notes on while out and about. The final page consisted of a few photos (2x2) and a personal message from me, a drawing, a sketch.. whatever. It's small and quite perishable, but a lot of fun to carry in a purse and help keep you organized for the month of December.